Matthew Olson's take on responding to Protestant questions with Catholic answers. 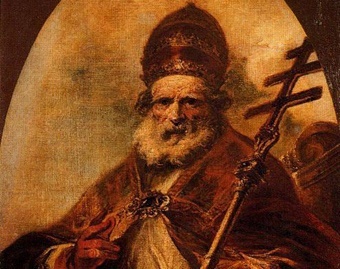 St. Augustine said that “neither do the heretics belong to the Church catholic, which loves God; nor do the schismatics form a part of the same”. (Schismatics are those who “in wicked separations break off from brotherly charity, although they may believe just what we believe”.) But he also said that those “without obstinate ill will, especially those who have not originated their own error by bold presumption, but have received it from parents who had been led astray and had lapsed, those who seek truth with careful industry, ready to be corrected when they have found it” are in a different situation. Those who have caused divisions are bad. “But,” Cardinal Charles Journet writes, “their followers in later times, who inherit a patrimony of schism or heresy from their birth, are not culpable on that account. They can grow in spiritual stature by remaining in good faith. The sanctifying influence of the sacraments, no longer finding the same obstacles in the will, can result in graces of a high order.”  Those who have not chosen against the Church are more under heretics or schismatics than they are heretics or schismatics. It is, however, better to presume that there is at least culpable negligence among them (for which they would be punished ), so that they might be saved and so that we do not neglect our duty to evangelize. We are all given sufficient chance to be saved, either rejecting or accepting it, though Orthodox naturally have more available to them than Protestants, who so often define themselves against Catholicism, justify sins and disbelieve the need for good works (thus rejecting God as Rewarder), lack priesthood, increasingly doubt the crucial dogmas of the Trinity and the Incarnation, and sometimes do not even have baptism. There are also those who favor a view that matter is eternal (like Mormons) and deny God as Creator of everything. Those who treat nothing as absolutely true and binding, leaving everything up to individual interpretation, show human and not divine faith. Bl. John Henry Newman said, “Protestants, generally speaking, have not faith, in the primitive meaning of that word”. Faith is often replaced with emotional consolations. One who rejects oneness, holiness, catholicity, and apostolicity cannot say the Creeds sincerely. Orthodox can be thankful that they are not exposed to as many temptations to err. Politics and personal suffering cannot be excuses to reject the Church’s teachings (even for, say, those who suffered under Crusaders); those who try to use these are, like St. Augustine admitted of his past self, readier to impose falsehood than to be informed of the truth. When people hear of the Pope as “Antichrist” or the Church as “Whore of Babylon”, they are no doubt at first incredulous, and so they are obliged to investigate. All must “return” to the Church, individually or corporately. Yet, as Pope Benedict XVI, the father of the Anglican Ordinariates,  noted in 2005, this “does not mean uniformity in all expressions of theology and spirituality, in liturgical forms and in discipline”. Again, the Orthodox are in a special position. A 1992 CDF document says that they “merit the title of particular Churches”, but “their existence as particular Churches is wounded”. The Orthodox have long been conceded the title of “Churches”,  but “to be fully Church…there must be…the supreme authority of the Church”. A particular Church “can be truly complete only through effective communion in faith, sacraments and unity with the whole Body of Christ”. “The Eucharist objectively creates a powerful bond of unity between the Catholic Church and the Orthodox Churches,”  but “it is an intrinsic requirement of the Eucharist that it should be celebrated in communion” with the Church’s hierarchical order. It is clear that acceptance of the Papacy is a non-negotiable. History is complicated: there have been instances of communicatio in sacris, times when lines were blurred, and periods of reunion. Conversion and regularization were always the ends (e.g., the Pope would be remembered in concelebrations). We can look to Bl. Pope Pius IX, who, with Arcano Divinae Providentiae, even invited the Orthodox to participate in the First Vatican Council. Now, with the mutual excommunications (which were “censures against the persons concerned and not the Churches” ) lifted, may we be together again. 1. See Thomas Storck, “What is the Church of Jesus Christ?” (Homiletic & Pastoral Review, vol. 108, no. 6, March 2008, p. 24-31, 42-45; available through the author’s website: http://www.thomasstorck.org/theological-topics). 2. See Dr. Lawrence Feingold’s “Motives of Credibility for Faith” (http://web.archive.org/web/20140104144437/http://www.hebrewcatholic.net/wp-content/uploads/2013/11/12.07-motives-of-credibility-for-faith-pdf.pdf) and James Likoudis’ “The Marks Of The Church And Eastern Orthodoxy” (http://www.catholicculture.org/culture/library/view.cfm?recnum=4752). 10. In the 43rd episode of his online show, Charles Coulombe mentions that Fr. Feodor Wilcock, S.J. (a priest of the Russian rite and a friend of Fr. Leonard Feeney, S.J. ), “would never refuse an Orthodox communion, because he knew that any Orthodox that would come to a Catholic priest to receive was already in the right frame of mind”. 11. See Brother André Marie’s “Promising Salvation to Non-Catholics: A Sin against Charity” (http://catholicism.org/ad-rem-no-145.html) and comments on Coptic Orthodox (http://catholicism.org/the-twenty-one-slain-copts-martyrs.html). Material heretics and schismatics are not considered legal members of the Church, but they can be saved by a desire for membership (Fr. Ludwig Ott, Fundamentals of Catholic Dogma, ISBN 978-1-929291-85-4, p. 311). 13. Catholic Encyclopedia, “Schism” (http://www.newadvent.org/cathen/13529a.htm). “In the material sense of the word there is schism, that is rupture of the social body, if there exist two or more claimants of the papacy, each of whom has on his side certain appearances of right and consequently more or less numerous partisans. But under these circumstances good faith may, at least for a time, prevent a formal schism; this begins when the legitimacy of one of the pontiffs becomes so evident as to render adhesion to a rival inexcusable.” St. Vincent Ferrer, though he accepted an antipope and was thus objectively wrong in identifying the visible Church, acted in good faith (http://www.ewtn.com/saintsHoly/saints/V/stvincentferrer.asp). 14. See Charles Coulombe’s “Looking Eastward” (http://www.catholicculture.org/culture/library/view.cfm?recnum=6082). 15. See, for example, Dave Armstrong’s The Quotable Eastern Church Fathers (Lulu, 2013; ISBN 978-1-304-21000-5). 17. James Likoudis, “The Immaculate Conception and the Doctrine of Mary as Coredemptrix in Eastern Orthodoxy” (http://jameslikoudispage.com/Ecumenic/marycorede.htm). See also: “Catholics of Egypt Gratified by Schismatic Copts’ Defense of Assumption Dogma in Controversy”, 20 November 1950 (http://thecatholicnewsarchive.org/cgi-bin/crra?a=d&d=cns19501120-01.1.28). 18. See James Likoudis, “Testimony to the Primacy of the Pope by a 17th c. Russian Orthodox Prelate” (http://jameslikoudispage.com/Ecumenic/pmohila.htm) and “Light from the ‘Church of the East’ on the Roman Primacy” (http://jameslikoudispage.com/Ecumenic/assyrians.htm). 19. See Br. Michael’s “Slave of the Slaves: the Story of Saint Peter Claver” (http://catholicism.org/slave-of-slaves.html). “The holy man had no time to lose” before those coming in from slave ships “would be auctioned off in the market place and sometimes end up far away”. He was known to preach simply. 20. Canon 751: “schism is the refusal of submission to the Supreme Pontiff or of communion with the members of the Church subject to him” (http://www.vatican.va/archive/ENG1104/__P2H.HTM). Also, one becomes subject to the Church, and therefore to the Pontiff, at baptism. Explicit knowledge of the Papacy has never been considered essential in emergency instruction. Msgr. Joseph C. Fenton notes that “it is the common teaching of the theologians that true supernatural faith can exist even where there is only an implicit belief in the Catholic Church” (The Catholic Church and Salvation, The Newman Press, 1958, p. 69). Though there has been invincible ignorance of the Holy See, when writing of the Papacy and the Church’s Roman-ness, Cardinal Charles Journet saw fit to mention, “When the Christian communities of the Far East, converted from paganism by St. Francis Xavier, and left without priests for two hundred years, once more saw new missionaries disembark, they recognized them simply by asking whether they obeyed the ‘white robe’.” (http://www.ewtn.com/library/THEOLOGY/chwordin3.htm) And, in the early Church, “Even the pagans knew that a true Christian was one in communion with the bishop of Rome,” according to Fr. Ludwig Hertling, S.J. (http://cathedraunitatis.wordpress.com/2007/09/04/ludwig-hertling-on-communio-and-the-roman-church-1/). 26. The Church of the Word Incarnate (http://www.ewtn.com/library/THEOLOGY/chwordin3.htm). Msgr. Fenton says that “some of the members of these dissident and schismatical communities may receive the Eucharist and take part in the Eucharistic sacrifice fruitfully” (The Catholic Church and Salvation, p. 94), and “any man who fruitfully and worthily partakes of this Eucharistic feast is within the true Church, at least by intention” (p. 24). “Neither justification nor glorification — that is, neither the remission of our sins nor the attainment of the Beatific Vision — is possible except ‘in Christ Jesus.’ And the Church, in the divinely inspired epistles of St. Paul, is represented precisely though metaphorically as ‘the body of Christ.’ To be ‘in Christ Jesus,’ then, is to be ‘within’ the Mystical Body of Christ, Our Lord’s one and only true Church or kingdom.” (p. 22-23) “All of those outside the Church, even the individuals who have committed no sin against the faith itself, are in a position in which they cannot be saved unless they in some way enter or join the Church before they die.” (p. 40) “…if [a man] has the love of charity for God, he is ‘within’ the true Church of Jesus Christ, at least by sincere (although perhaps merely implicit) intention and desire. If, on the other hand, a man has not a love of charity for God, he is in the state of sin.” (p. 46) Those with faith, hope, and charity have “the spiritual or inner bond of unity within the Catholic Church” and are “by that very fact joined to Our Lord and to His disciples within the supernatural kingdom of God” (p. 62). 27. Fr. Bernard J. Otten, S.J., writes in The Business of Salvation (B. Herder, 1916), “…if anyone through his own fault, whether through obstinacy or through culpable negligence, fails to become a member of the Church which Christ has established on earth, he is by that very fact deprived of the means necessary for saving his soul” (p. 250-251). While desire to be in the Church, included in the firm will to do all that God requires, is an absolute necessity, because there are real cases in which attaining legal membership is impossible, we know that “membership” is a relative necessity, meaning that those who can die as members must (see John Salza and Robert Siscoe, True or False Pope?, ISBN 978-1-4951-8142-9, p. 132-137). 28. “Promising Salvation to Non-Catholics”. Pope Pius XI wrote in Ecclesiam Dei §9 that St. Josaphat Kuntsevych, though “born of schismatic parents”, “always considered himself a member” of the true Church (http://www.papalencyclicals.net/pius11/p11eccle.htm). For example, Francis E. Hyland wrote that the question of legal membership for excommunicates “seems to be one of theory and of little practical import”, since they lack benefits of membership and could still be saved by perfect contrition (Excommunication, Catholic University of America, 1928, p. 5-10). A person who passed away with sanctifying grace must have been sufficiently in accord with the Church, having all essentials and being without mortal sin, even if this accord was not recognized. According to Fenton, “…charity is absolutely incompatible with an unwillingness to live and die in the communion of the Church of Jesus Christ. … Thus every man who has charity, every man in the state of grace, every man who is saved, is necessarily one who is or who intends to become a member of the Roman Catholic Church. There can be no exceptions.” (This intent can be implicit for those not “fully informed about the identity of the true Church”.) Fenton says “[t]his is the only interpretation fully consonant with” the declarations of the Fourth Lateran Council, the Council of Florence, and Pope Boniface VIII (“Extra Ecclesiam Nulla Salus”, The American Ecclesiastical Review, unknown issue, p. 303-304; http://thecatholicarchive.com/wp-content/uploads/2013/01/106.pdf). The existence of just individuals who are not “members” no more contradicts the coextension of the Catholic Church and the Mystical Body of Christ than does the existence of sinful members. 31. See §2 of Pope St. Pius X’s Acerbo Nimis (http://www.papalencyclicals.net/Pius10/p10chdoc.htm). A misinterpretation of words of Bl. Pope Pius IX can lead some to think that there are non-Christians perfectly obeying the natural law and remaining without mortal sin and being saved that way. Msgr. Fenton wrote that “no one can remain for any considerable time without committing mortal sin apart from the aid of supernatural grace” and without having sanctifying grace, and so “the man who is sedulously observing the natural law in such a way as to avoid mortal sin for a considerable period of time is one who has already made an explicit act of supernatural faith, in which the belief in the Church was at least implicitly contained” (“The Theological Proof for the Necessity of the Catholic Church: Part II”, The American Ecclesiastical Review, unknown issue, p. 299; http://thecatholicarchive.com/wp-content/uploads/2013/01/40.pdf). 32. Questiones Disputatae de Veritate, Q. 14, A. 11, A. to D. 1 (http://dhspriory.org/thomas/QDdeVer14.htm). Those with the good will to comply with God’s will are given the Truth, which they accept when it is sufficiently proposed to them. See Br. Thomas Mary Sennott’s “The Salvation of the Pre-Columbian Amerindians” (http://catholicism.org/eens-salvation-amerindian.html) and Mary Rezac’s “Did this Spanish nun bi-locate to Texas?” (http://www.catholicnewsagency.com/news/did-this-spanish-nun-bi-locate-to-texas-vatican-aims-to-find-out-60292/). For more on opportunity for salvation, see Msgr. Joseph Pohle and Arthur Preuss, Grace: Actual and Habitual (2nd Revised Ed., 1917), p. 152-187. 39. “There can be real divine faith when a man believes explicitly, on the authority of God revealing, the existence of God as the Head of the supernatural order, the fact that God rewards good and punishes evil, and the doctrines of the Blessed Trinity and of the Incarnation.” (The Catholic Church and Salvation, p. 69) Fr. Brian Harrison, O.S., citing Scripture, magisterial statements, and liturgy, has powerfully argued in a speech entitled “Can an Implicit Faith in Christ Be Sufficient for Salvation?” for the absolute necessity of explicit belief in all of these (http://store.catholicism.org/can-an-implicit-faith-in-christ-be-sufficient-for-salvation-mp3.html). 40. Discourse 10: “Faith and Private Judgment” (http://www.newmanreader.org/works/discourses/discourse10.html). For early Christians, “The Church was their teacher; they did not come to argue, to examine, to pick and choose, but to accept whatever was put before them. No one doubts, no one can doubt this, of those primitive times. A Christian was bound to take without doubting all that the Apostles declared to be revealed”. For many now, “what looks like faith, is a mere hereditary persuasion, not a personal principle”. Putative Protestants “who firmly believe in spite of all difficulties, they certainly have some claim to be considered under the influence of faith; but there is nothing to show that such persons, where they are found, are not in the way to become Catholics, and perhaps they are already called so by their friends, showing in their own examples the logical, indisputable connexion which exists between possessing faith and joining the Church”. 41. “…I should either even then have defended the Catholic Scriptures attacked by the Manichæans, if as I say, I had been cautious; or I should now show that they can be defended.” (Of Two Souls, Chapter 15; http://www.newadvent.org/fathers/1403.htm) Once finding himself unable to answer a question, St. Augustine felt “admonished from on high to leave that error and to be converted to the Catholic faith or rather to recall it, by the indulgence of Him who did not permit [him] to inhere forever in this fallacy” (Disputation Against Fortunatus, Second Day; http://www.newadvent.org/fathers/1404.htm). Pope Pius XI said that those who “humbly beg light from heaven” “will recognize the one true Church of Jesus Christ and will, at last, enter it, being united with us in perfect charity” (Mortalium Animos §13; http://w2.vatican.va/content/pius-xi/en/encyclicals/documents/hf_p-xi_enc_19280106_mortalium-animos.html). 45. See Anglicanorum Coetibus (http://w2.vatican.va/content/benedict-xvi/en/apost_constitutions/documents/hf_ben-xvi_apc_20091104_anglicanorum-coetibus.html). 46. Address at Ecumenical Meeting in Cologne, 19 August 2005 (http://w2.vatican.va/content/benedict-xvi/en/speeches/2005/august/documents/hf_ben-xvi_spe_20050819_ecumenical-meeting.html). Fr. Yves Congar, O.P., said that “union, while not representing an ‘absorption’ in the odious sense of the word, can only be, from the point of view of ecclesiology, a reunion with the Apostolic See” (After Nine Hundred Years, Fordham University Press, 1959, p. 82). 55. See James Likoudis’ “A Formal Schism in 1054 A.D.?” (http://jameslikoudispage.com/Ecumenic/pamiccer.htm), William Huysman’s “Why God Led Me to Rome Instead of Constantinople” (http://web.archive.org/web/20180213114036/http://thebananarepublican.blogspot.com/2011/04/old-rome-not-new-rome-1.html), the first chapter of Fr. Serge Descy’s The Melkite Church (Sophia Press, 1993), a series from the Transalpine Redemptorists (http://papastronsay.blogspot.com/search/label/Communicatio%20in%20sacris), and Fr. John Hunwicke on ecumenism (http://liturgicalnotes.blogspot.com/2016/02/ecumenism-update.html). We know that St. Phoebe and others were “deacons” (Romans 16:1, diakonon), but how was their ministry expressed? St. Paul did not give women teaching authority, especially at Mass (1 Corinthians 14:34, 1 Timothy 2:12). Deacons must be able to proclaim the Gospel in the liturgy (Summa Theologiae, TP, Q. 67, A. 1, R. to Ob. 1), and all priests are to first be made deacons (Canon 1050). Therefore, women cannot serve in either role, and so they cannot be ordained at all. “Many theologians who supported apartheid developed their theses on the basis of ideas set forth by the renowned Dutch theologian and statesman Abraham Kuyper (1838-1920). However one comes out on these arguments, there is ample evidence to suggest that the Dutch Reformed church carefully manipulated biblical references in serving its political interests and providing the early underpinnings for apartheid. Proof that the Greek Church accepted papal primacy prior to the Photian Schism? O happy Pontiff! Glorious Leo, thou hast been made companion of the faithful priests and martyrs; for thou was t most invincible in battle, and immovable as a tower and fortress of religion. Thou dist proclaim, with most prefect orthodoxy and wisdom, the unspeakable generation of Christ. Joseph Smith, the founder of Mormonism, may not have been Catholic, but he certainly made some very interesting points, which can easily be used as apologetics for the true Church. Mormons should take this into account. There is in the Christian Church a materially fixed point, an external and visible center of action, an image and an instrument of the divine power. The apostolic see of Rome, that miraculous ikon of universal Christianity, was directly involved in the Iconoclastic struggle, since all the heresies were in the last resort denials of the reality of that divine incarnation, the permanence of which in the social and political order was represented by Rome. It is indeed historically evident that all the heresies actively supported or passively accepted by the majority of the Greek clergy encountered insuperable opposition from the Roman Church and finally came to grief on this Rock of the Gospel. This is especially true of the Iconoclastic heresy; for in denying all external manifestation of the divine in the world it was making a direct attack on the raison d’être of the Chair of Peter as the real objective center of the visible Church. The pseudo-Christian Empire of Byzantium was bound to engage in decisive combat with the orthodox Papacy; for the latter was not only the infallible guardian of Christian truth but also the first realization of that truth in the collective life of the human race. To read the moving letters of Pope Gregory II to the barbarous Isaurian Emperor is to realize that the very existence of Christianity was at stake. The outcome of the struggle could not be in doubt; the last of the imperial heresies went the way of its predecessors, and with it the circle of theoretic or dogmatic compromises which Constantine’s successors had attempted between Christian truth and the principle of paganism was finally closed. The era of imperial heresies was followed by the emergence of Byzantine “orthodoxy.” To understand this fresh phase of the anti-Christian spirit we must revert to its origins in the preceding period. Throughout the history of the great Eastern heresies, extending over five centuries from the time of Arius to that of the last Iconoclasts, we constantly find in the Empire and Church of the East three main parties whose alternating victories and defeats form the framework of this curious evolution. We see in the first place the champions of formal heresy, regularly instigated and supported by the imperial court. From the religious point of view, they represented the reaction of Eastern paganism to Christian truth; politically, they were the declared enemies of that independent ecclesiastical government founded by Jesus Christ and represented by the apostolic see of Rome. They began by conceding to sar [sic], whose protégés they were, unbounded authority not only in the government of the Church but even in matters of doctrine; and when Cæsar, impelled by the orthodox majority of his subjects and by the fear of playing into the hands of the Pope, ended by betraying his own creatures, the leaders of the heretical party sought more solid support elsewhere by exploiting the separatist and semi-pagan tendencies of the various nations which were free, or were aiming at freedom, from the Roman yoke. Thus Arianism, the religion of the Empire under Constantius and Valens, but abandoned by their successors, claimed the allegiance of the Goths and Lombards for centuries; Nestorianism, betrayed by its champion Theodosius II, was for a time welcomed by the Eastern Syrians; and Monophysitism, thrust out from Byzantium in spite of all the efforts of the Emperors, finally became the national religion of Egypt, Abyssinia and Armenia. At the opposite extreme to this heretical party, trebly anti-Christian — in its religious doctrine, its secularism, and its nationalism — we find the absolutely orthodox Catholic party engaged in defending the purity of the Christian idea against all the pagan compromises and in championing free and worldwide ecclesiastical government against the onslaughts of Cæsaropapism and the aims of national separatism. This party could not count on the favor of earthly powers; of the higher clergy it included only individuals here and there. But it relied on the greatest religious force of those times, the monks, and also on the simple faith of the mass of devout believers, at least in the central parts of the Byzantine Empire. Moreover, these orthodox Catholics found and recognized in the central Chair of St. Peter the mighty palladium [sic] of religious truth and freedom. To indicate the moral weight and ecclesiastical importance of this party, it is enough to say that it was the party of St. Athanasius the Great, of St. John Chrysostom, of St. Flavian, of St. Maximus the Confessor and of St. Theodore of the Studium. What does the Church teach about the Trinity? Let me try to explain, simply, what the Church teaches on the Trinity vis-à-vis monotheism. The Trinity’s source is the Father. The Son is “begotten” from Him — not created by Him, “for there is nothing whatever that generates its own existence” (St. Augustine of Hippo, On the Trinity, Book I) — and the Holy Spirit is “the Spirit both of the Father and of the Son”, “proceeds from” the Two, and is “co-equal” to Them. All must “honor the Son even as they honor the Father” (John 5:23) and recognize the Holy Spirit as “the voice of the Lord” (Isaiah 6:8-10, Acts 28:25-27). All are key to the “I Am”, the Logos, the principle on which everything — including reason itself — depends. Philosophically speaking, because the Persons are so intricately connected (in mind, substance, action, etc. ), They are One. This unity is to be mimicked in both the Church and sacramental marriage. However, They clearly act distinctly (but not separately). This makes most sense, I think, in the context of the Eucharist: Father as being sacrificed to, Son as Sacrifice, Holy Spirit as the Person Who inspires sacrifice. They each have a place in the communitarian model. They all must be God, though, because only God has these authorities. They must all be of equal power, also. How else could the Son be our Lord (John 20:28) and perfectly alike to the Father (John 5:19)? How else could the Holy Spirit bring forth the Son to earth (Matthew 1:18), how else could lying to the Holy Spirit equate to lying to God (Acts 5:3-4), and how else could our bodies belong to this same Spirit (1 Corinthians 6:19-20)? That, in a nutshell, is how Catholics look at the Trinity — One, but Three; Three, but One. Thus, we chant, “holy, holy, holy” (Isaiah 6:3).